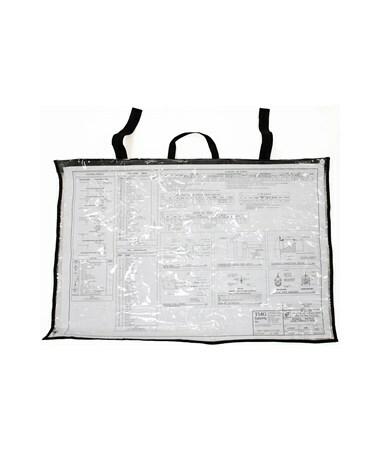 The Adir Translucent Plan Shield is a weather-resistant carrying case that is widely used by building contractors, architects, engineers, artists, or anyone handling drawings and blueprints. 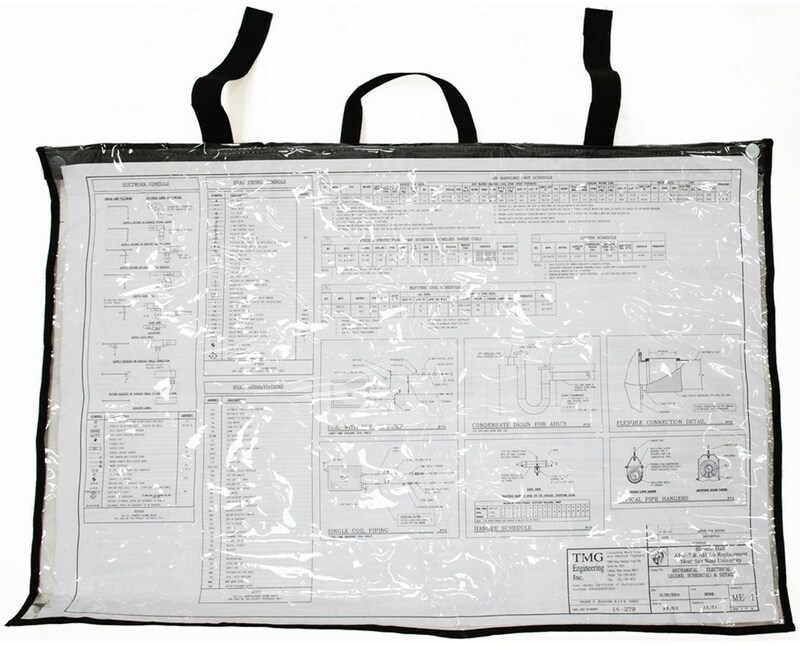 Made of 35C PVC translucent plastic and durable black nylon, this office tool can withstand harsh job site conditions. Also, the plastic is transparent on both sides and may be used double-sided. 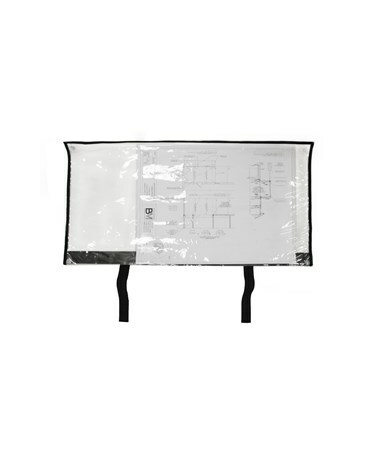 This plan shield includes four magnets for keeping print in place when on a metal surface. Plus, it comes with a handle for convenient carrying. Also, it has an easy readability through full width and height window. 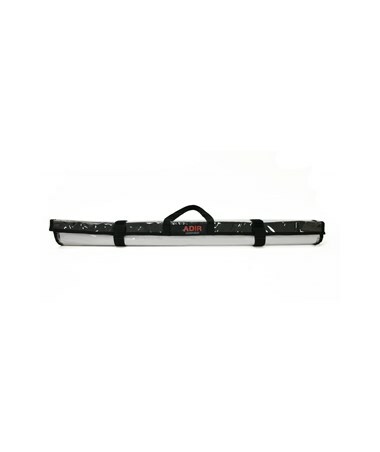 As an additional item, this clear plan shield has two Velcro straps to keep the prints rolled up for easy transporting. Plus, it keeps your prints from bending and getting wet. 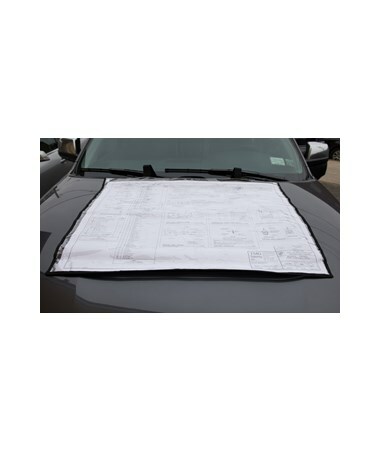 The Adir Translucent Plan Shield offers three sizes for your needs. Please choose from the drop-down menu above.